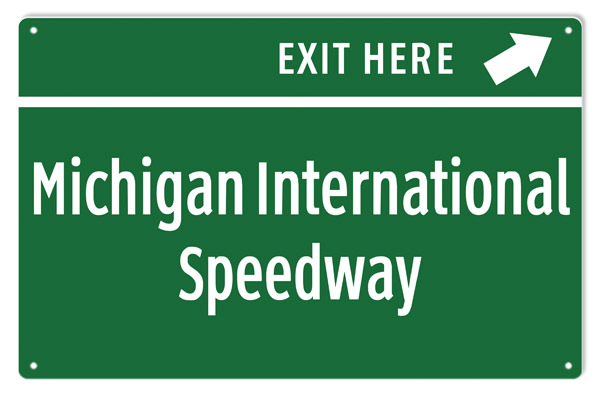 Great looking highway sign, for Michigan International Speedway. 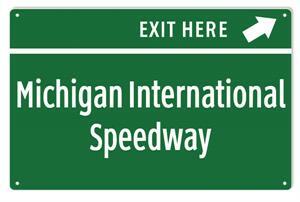 Made from high quality aluminum, and measures 12" x 18", in overall size. A great addition to any garage, man cave, or shop.